The Governors Highway Safety Association and State Highway Safety Agencies are joining forces with Oprah Winfrey and Harpo Studios to fight distracted driving on “No Phone Zone Day,” set for this Friday, April 30. Distracted driving is one of the leading causes of Massachusetts car accidents and Boston University will be participating with a campus rally on Friday, which is being supported by the Massachusetts Highway Safety Division. The government recognizes three primary types of distracted driving –visual, manual and cognitive — and has become increasingly vocal about the dangers of cell phone use, and particularly text messaging while driving, which involves all three forms of distraction. -Using a cell phone while driving reduces the amount of brain activity dedicated to driving by 37 percent. -An estimated 6,000 motorists died in accidents involving distracted drivers in 2008 and more than 500,000 were injured. -Drivers using hand-held devices are 4 times more likely to be involved in a crash. -Younger, inexperienced drivers have the highest proportion of fatal accidents caused by distracted driving. -Using a cell phone while driving, whether it’s hands-free or hand-held, impairs a motorist’s driving ability as much as a blood-alcohol level of .08, the legal limit for drunk driving in Massachusetts. -Using other on-board electronics, including the stereo or CD player. 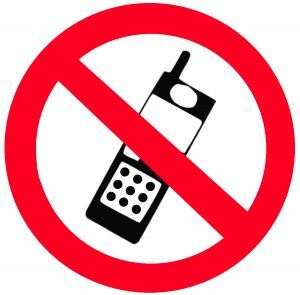 Those wishing to take the “No Phone Zone” pledge can visit www.oprah.com/nophonezone.